Millions of cannabis seeds are being scattered across the UK, and there is currently nothing the law can do about it. Over the past year or so, there have been increasing reports of wild cannabis plants sprouting in public areas across the entire UK. And we are not just talking about out in the countryside either, cannabis has been found growing, unattended, at iconic central London locations, such as Tower Bridge, BBC headquarters, and The Shard. This phenomenon has been largely thanks to an organized protest movement, and the best thing about it is that thanks to the structure of British cannabis law, it is technically legal. It is funny to think really, that in a country where mere possession of marijuana carries a maximum sentence of 5 years imprisonment, that cannabis can be so brashly grown. Of course, this is the law in its harshest form, and doesn’t usually translate practically. You are much more likely to get a slap on the wrist than a hefty prison sentence. For this reason, it probably comes as no surprise to find out that it is actually legal to buy, sell and possess cannabis seeds. It is only illegal to intentionally sow and cultivate them. Taking this quite literally, a UK based protest movement called “Feed The Birds” have taken it upon themselves to spread cannabis across the nation without actually violating this intention. 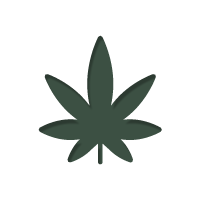 Cannabis seeds are extremely healthy to eat, for both humans and wildlife – containing an abundance of healthy proteins and fatty acids – so spreading seeds in public places to help support the UK’s animal population is completely legal. The seeds that do not end up getting eaten by the birds and squirrels often end up germinating, but without active care and cultivation, there is no one to prosecute. The cannabis plants themselves are often removed by the authorities when noticed, but not before pictures make their way into the local newspaper. According to the founder of Feed The Birds, who goes by the alias “Hemingway”, “We believe that seeds left to grow highlight the ineffectiveness of prohibition, partly because cannabis grows naturally in the UK and has done for thousands of years, and partly because we feel visual protests are powerful and evocative”. It shows that no matter how hard you try, you can’t stamp out something that grows naturally with such ease. It is a clear message: cannabis has always grown in the UK, and it always will. Prohibition is useless. Despite the harsh stance of the law, public opinion on the matter of cannabis is slowly changing within the UK, with many residents now appreciating the medical and economical potential it has. This is largely thanks to the legalization that is currently happening in the USA, where millions of dollars in tax have been generated, and both adolescent use and crime have decreased. According to Hemingway, “Personally, I think cannabis is still illegal because British politicians do not want to be seen as having a ‘weak’ stance on drugs”. And we would agree, British politics are slow to change, and focus more on appearance rather than actually doing good. There is no finer example of this than the current mudslinging match that is currently taking place running up to the general election. Hopefully, as public opinion continues to change, so will the opinion of politicians. It is why movements like this are so important. The visual representations they create are a constant reminder of the futility of current drug policy. Feed The Birds has stated they intend to distribute “millions upon millions” of cannabis seeds this year, just in time for the general election. We applaud their effort.